Remember a time when companies were racing to make their cell phones as small as possible? Recent years have seen a reverse of this trends, with larger handsets becoming the norm. But over in Japan, FutureModel is releasing a device that may cater to those who long for the days of tiny devices. 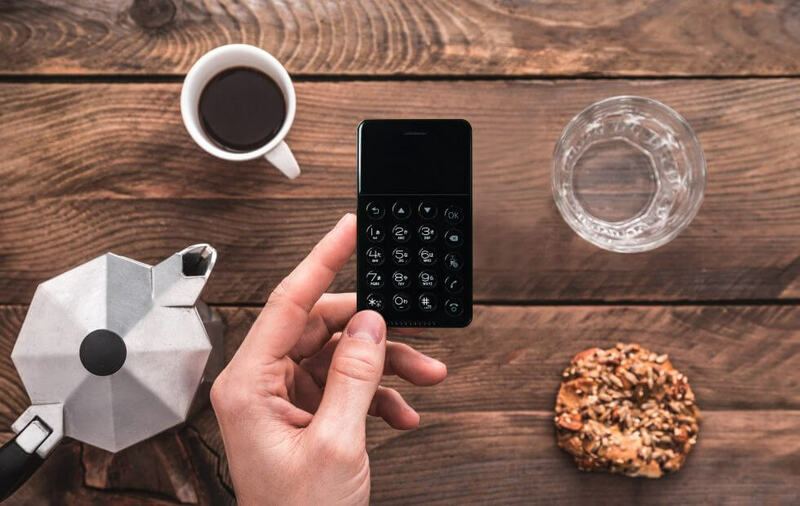 Aptly called the NichePhone-S, the handset looks more like a cheap calculator than a phone. It’s about the size of credit card, measuring around 6mm (0.23 inches) thick and weighing 38 grams. While there’s isn’t much to see on that weird little screen, the NichePhone apparently runs a customized version of Android 4.2 (Jelly Bean). You can’t install apps, and it’s not really clear what the user interface will look like, though the promotional video below suggests something very simplistic. The NichePhone-S does have standard phone functions, of course, which includes making calls and sending texts across 3G networks. Users can also listen to music, record voice memos, and connect Bluetooth headsets. As for the hardware, the miniature phone sports a MediaTek MT6572A processor from 2013, a nanoSIM card slot, and a micro-USB port for charging. There’s also a 550 mAh battery that should provide around 3 hours of talk time or 72 hours of standby. The NichePhone-S launches in Japan on November 10th for around 10,000 yen, or about $87. No word on if it’ll ever be available outside of the country. If you are after a cheap, basic burner phone, there’s always the new Nokia 3310; an updated version of which is now available in the US thanks to its added 3G support.